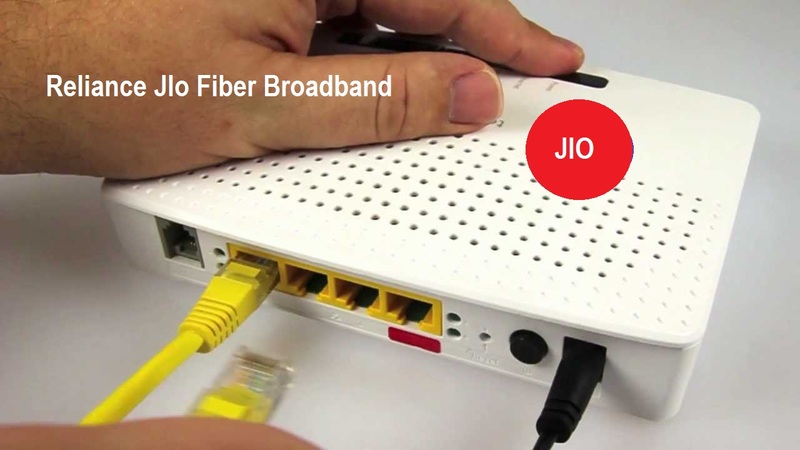 Jio fiber preview offer apply online: I have a great news for you from Reliance Jio, Jio has launched its Jiofibre broadband service in India. You will be amazed when you see the speed test of Reliance Jio fiber. Jio has come up with Jio free home broadband service to some selected states. Due to heavy competition in the market the company is surprising their customers at every instant of time. You can apply for this plan online if you are living in selected state. At beginning Jio will offer free 90 days service. 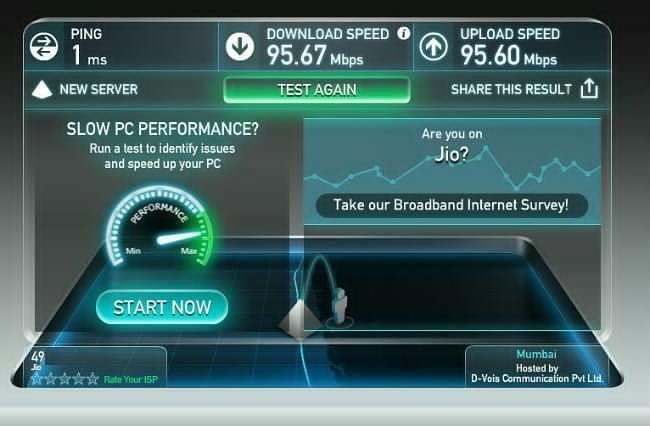 You may don’t know Jio has started testing Fiber broadband Technology back. Now Jio has come with officially confirmation about its Fiber broadband and further claiming that this service will be introduced to other cities of India in similar manner. Jio Fiber Preview Offer starts from Rs 500 and goes upto Rs 5500. Announcement was made on twitter by one of the Jio care handler officially. In this article, I will show you how you can apply for Reliance Jio broadband so stay tight because it is going to be very interesting. Speed Test of Jio Friber Broadband? Are you shocked? 1 Speed Test of Jio Friber Broadband? Are you shocked? 2 What is Jio Fibre Broadband? 9 The Eligible States to get Jio broadband services. Speed has amazed me very hard, I think you might as well get excited about JioFibre broadband, Here is a screen shot that shows JioFibre is giving download speed of 95.67 MBPS and Uploading speed of 95.60 MBPS. What is Jio Fibre Broadband? Jio fiber is recognized by FTTH Base plan. There were numerous ideas made about this broadband service. Name derived from plastics or glass used and it allows faster speed when compared with standard copper wire. 3.HD movies streaming at ultra fast lightning speed. Check whether your city is avail Jio preview offer benefits. Apply for the connection by visiting nearest Jio xpress Stores. You need to submit necessary documents before applying as you have done while jio sim. Connection will be at zero cost, however if you need additional WIFI router than you need to pay rs.4500. Don’t worry Rs.4500 is refundable and you can claim them when you deactivate your connection. Currently, Jio is providing welcome offer of this service free for 3 months. It is available in Mumbai and Pune with full offers. To properly setup Jio will further announced this service in more cities. These plans have limited speed and data usage bandwidth. Refer to the below table for deep understanding. These plan is made for those users you loves high speed interent. You must go with this plan if you like to experience true internet fun. Although you can avali good speed but still data is limited. Enjoy Jio Fiber Broadband at low prices. Just install one of the below plan to your home and you are ready to rock and roll. The Eligible States to get Jio broadband services. It will be interesting to know How Mr. Ambani is going to give such a great internet gift to India. Let us know in the comment box, If your state is eligible for Jio Broadband services. You can visit Reliance Xpress Mini stores, They can help you in this matter.